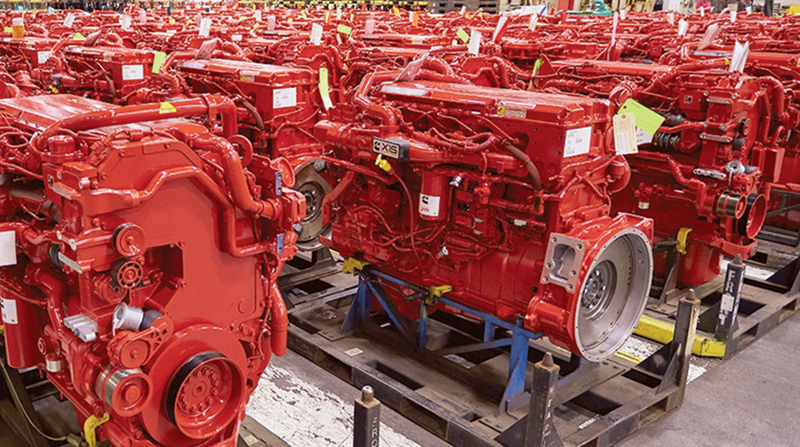 The two companies, each nearly 100 years old, maintain that significant investment will be required to deliver the best next generation diesel and natural gas engines as well as alternative powertrains, connectivity and autonomy that their respective customers demand. Collaboration and strategic partnerships will be essential to share increased investment costs and win in the market, according to Columbus, Ind.-based Cummins. Isuzu is active in the Class 3 through Class 6 market in the United States. It dominates the Class 4 market, based on U.S. retail sales — selling 7,911 trucks out of a total 11,910 through the first eight months of this year, according to WardsAuto.com. In its fiscal 2019 first quarter, Isuzu saw total vehicle unit sales in Japan and overseas increase by 5,274 units, or 4.6% over the same period last fiscal year to 118,932 units. During the first quarter, Isuzu reported gains in both net income and revenue. The company reports in yen. Net income for the period ended June 30 amounted to $340 million, up 16% compared with the same period last fiscal year. Year-over-year, revenue grew by $210 million, or 5.2%, to $4.3 billion. Meanwhile, Cummins posted record revenue and earnings per share in the second quarter as demand for trucks and construction, mining and power generation equipment all improved. Net income for the period ended June 30 rose 28% to $545 million, or $3.32 per diluted share. That compared with $424 million, or $2.53, in the year-earlier period. Revenue hit $6.1 billion, up 21% compared with $5 billion in the 2017 quarter. Cummins’ most recent new relationship with another company began in September when it signed a memorandum of understanding with Kamaz, a Russian manufacturer of trucks and engines, for the development of electrified power. Kamaz is actively developing a new electrified portfolio of battery-powered trucks and buses, and Cummins continues to expand its powertrain portfolio by developing electric power systems, fully electric and hybrid, for commercial applications.